Decoupage Design Is Roses. 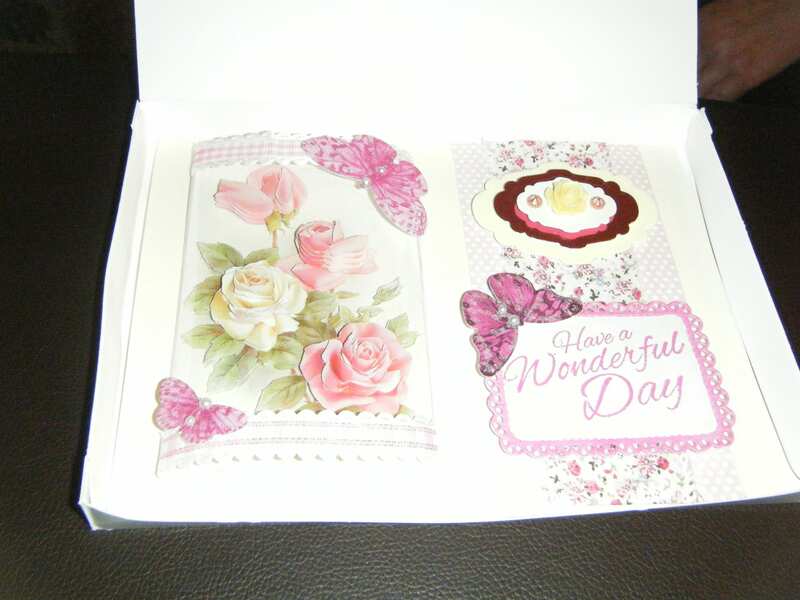 With Butterflies On Backing Paper With Ribbon And Gems. Greeting Is Have A Wonderful Day.